‘The petitioner Akbar S. Babar has requested the ECP to continue hearing the case until the IHC issues a written order’. ISLAMABAD: The chief election commissioner (CEC) lost his composure and directed his criticism towards Pakistan Tehreek-e-Insaf (PTI) after the party’s senior lawyer Anwar Mansoor and finance secretary failed to attend a hearing regarding the party’s source of funds on Tuesday. A PTI junior lawyer had requested that the Election Commission of Pakistan (ECP) hear the party’s argument ‘calmly’ when the court voiced its annoyance by stating that the party had been dodging the matter for over three years using ‘delaying tactics’. You are telling us to listen to you calmly when the case is being delayed due to your party’s constant failure to appear before the bench,” said the CEC with chagrin. The bench was exasperated that both parties kept indulging in political banter rather than presenting legal arguments. 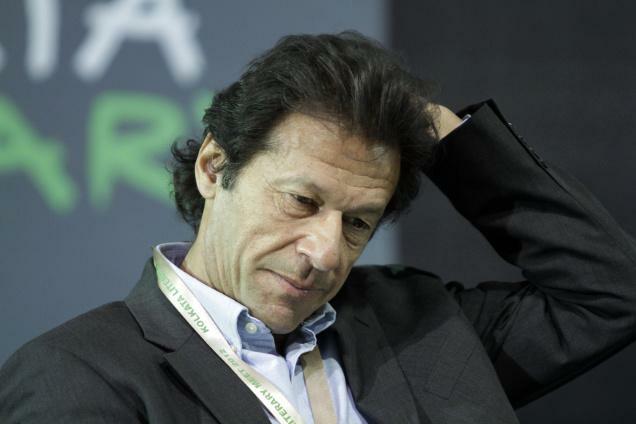 The petitioner, whose differences with the PTI chief Imran Khan were based on internal corruption and abuse of laws governing political funding, has alleged that two offshore companies registered under Imran Khan’s signature collected nearly $3 million in illegal foreign funds. He also alleged that money was sent to the accounts of PTI’s employees through illegal ‘hundi’ channels from the Middle East and that these accounts were concealed from the annual audit reports submitted to the ECP. On April 1, 2015, the ECP examined PTI’s annual audit reports and gave the verdict that the party had not disclosed the sources and details of the foreign funds received. PTI as a counteraction challenged the ECP’s jurisdiction to scrutinise its accounts. Six months later, on Oct 8, 2015, a five-member bench of the ECP passed an order detailing how the organization had the right to scrutinise the accounts of any political party at any time and that it was the correct constitutional forum to do so. A month later, PTI had yet again challenged the order before the Islamabad High Court (IHC). The IHC remanded the case back to the ECP on Feb 15 this year, directing it to review its jurisdiction and the locus standi of the petitioner. On May 8 this year, the ECP verified its jurisdiction a second time and affirmed that there ‘is not an iota of evidence’ to challenge Babar’s membership of PTI and subsequently, his constitutional right to challenge PTI’s accounts. During the hearing, PTI’s lawyer held his stance by arguing that the case should be adjourned until the IHC’s hearing on January 15, which will issue a verdict on whether the case falls under the election bodies jurisdiction or not. Babar apprised the ECP that the high court has refused to listen to his lawyer until the election body submits a response on the matter and urged them to continue hearing the case. The ECP has again ordered the finance secretary of the party to appear before the court to answer queries about the purported financial evidence submitted by the party to the commission. The next hearing will be on January 16, 2018.